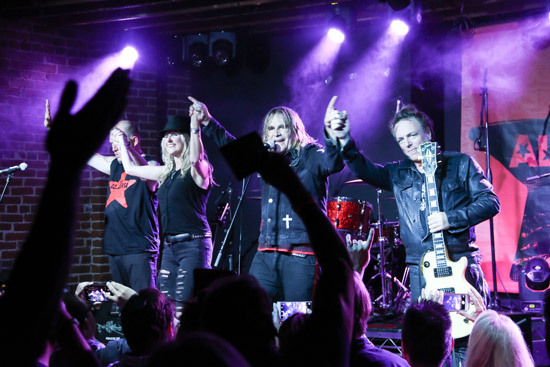 The West Coast Run of The Alarm USA Tour 2017 continued with a concert at The Rose in Passadena. 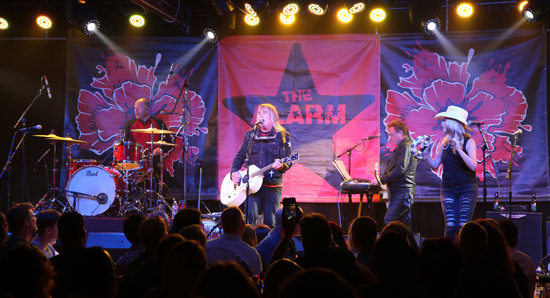 The show was preceded by a screening of Man In The Camo Jacket and a full house was on hand to witness a classic Mike Peters and The Alarm gig. 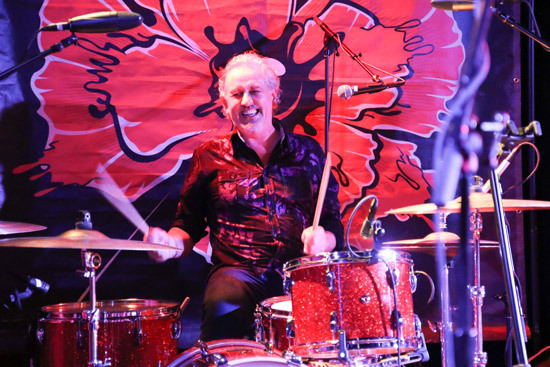 Smiley was back on the drums having only just landed at the airport earlier in the day (following his second trip back to Europe to fulfil his duties with Archive). You would never have guessed he had only just got off a plane from Switzerland as he gave his all, in driving the show forward with fire and skill. It was a top notch performance that featured a powerhouse version of ‘Rain In the Summertime’, which is being played in the style of the original recording for the first time ever and sounds all the better for it. 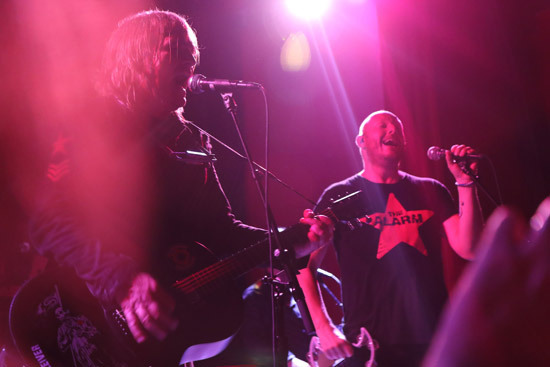 James Stevenson’s guitar playing on ‘Rain’ was exemplary and when Smiley’s acoustic drums exploded into life over the top of the original drum machine generated from Mike Peters’ loop pedals and Jules Jones Peters Orchestral Keyboard Strings, the song took off like never before, creating another great Alarm on stage moment. Those seated close to the stage in the ‘you might get wet’ section of the venue got treated to the full 4D concert experience!! 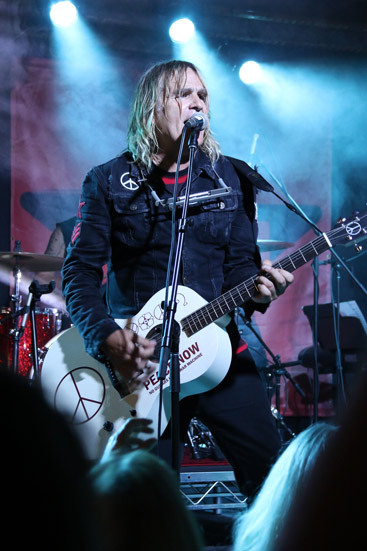 Mike Peters’ singing was exceptional throughout and his voice seems to get better with age. The vocal performance on tracks like ‘Walk Forever By My Side’ (with the audience lighting the way), ‘Rain’, ‘Strength’ and ‘Blaze Of Glory’ were remarkable and his range and tuning (particularly at the high end of the scale), never falters. 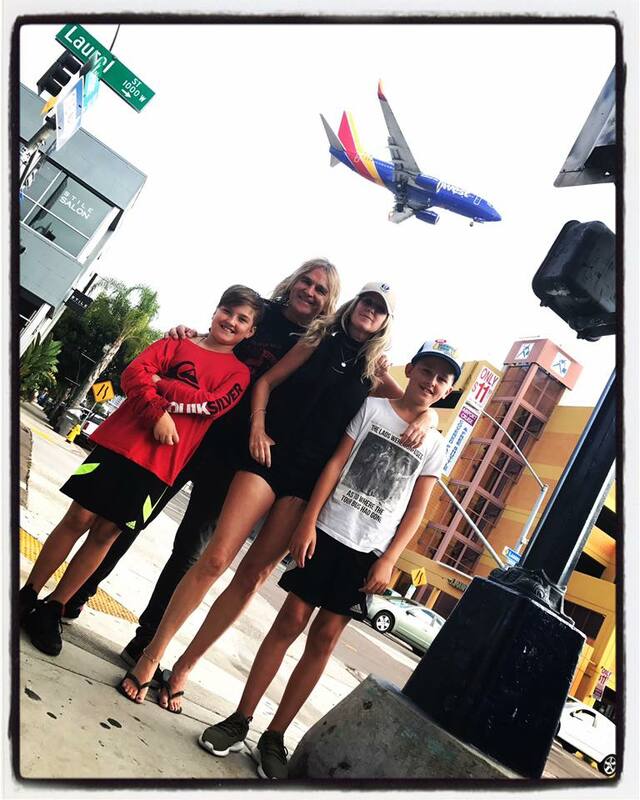 The day after the band found themselves in Riverside and the Inland Empire of California for a show at Romano’s Concert Hall. 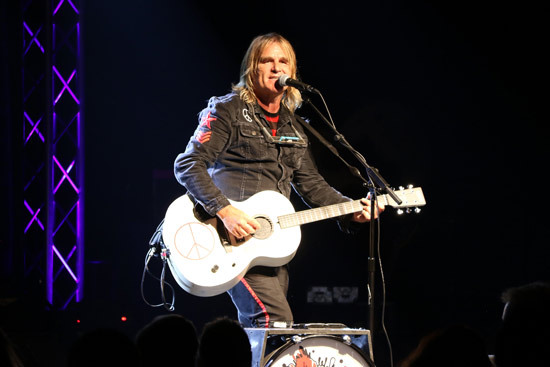 Another rock solid set was delivered with an impromptu Mike Peters acoustic medley in the middle section. Requests were taken and delivered including ‘We Are The Light’ and ‘One Step Closer To Home’. Someone called out for ‘Howling Wind’ and so the band duly obliged with Jules taking up the tambourine and backing vocal duties and James Stevenson playing both piano and electric guitar. It was a pulsating version that perfectly set up a grand stand finish. 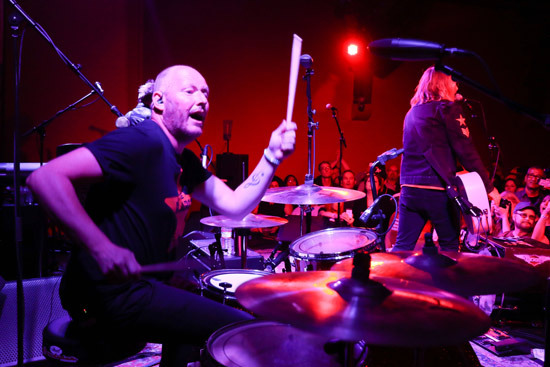 At San Diego, the band pulled into a local recording studio to cut a live session for legendary alt-rock radio station 91X. 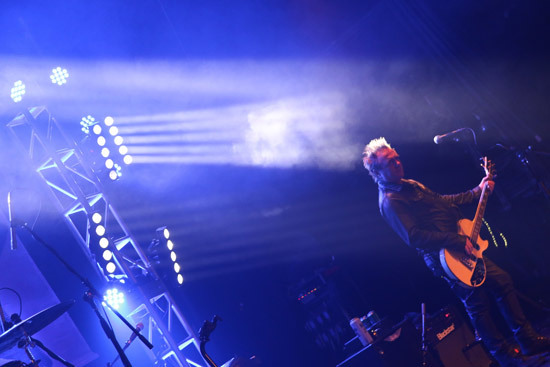 The equipment was soon set up and audio levels tested by the band’s versatile sound man and all-round recording engineer, Mark Warden who gave the musicians the thumbs up to begin. 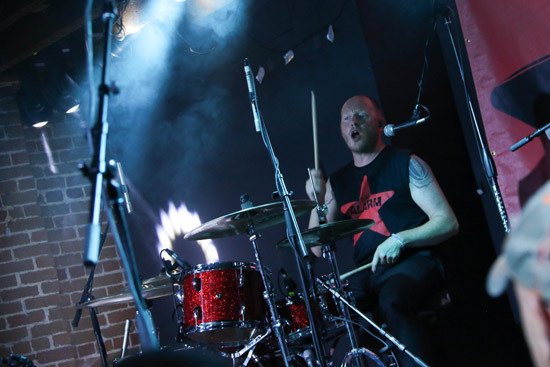 Tim Pyles the 91X DJ had requested four songs to be performed and the group wasted no time in laying down high energy versions of ‘Marching On’, ‘Sixty Eight Guns (Long Version)’, ’45 RPM’ and a closing ‘Blaze Of Glory’. Everything went down to tape on the first take with the band as tight as you can get, especially on the back of so many night after night performances. The live mix was superb and the music lean and fresh sounding. Everyone in the control room was thrilled to have witnessed the session and so watch this space for news of the broadcast date as you don’t want to miss this one folks! 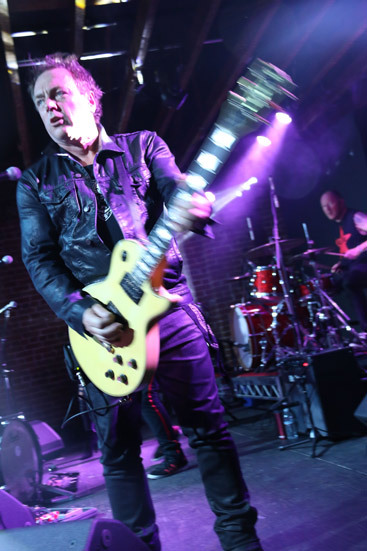 The ‘Casbah’ is situated close to San Diego airport and with the thunder of planes flying overhead, a totally Sold Out venue meant the band had to be ushered through the audience to get on to the stage. 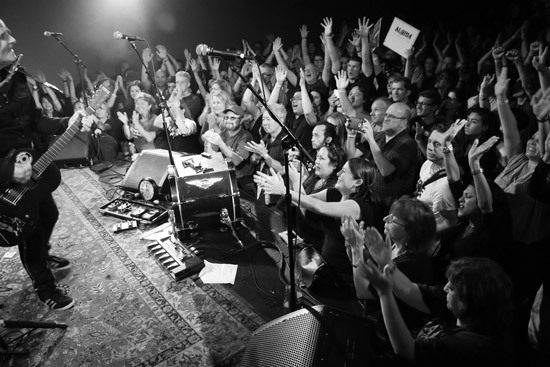 It was exhilarating to see the fans packed tight into the concert space and singing along with every word. 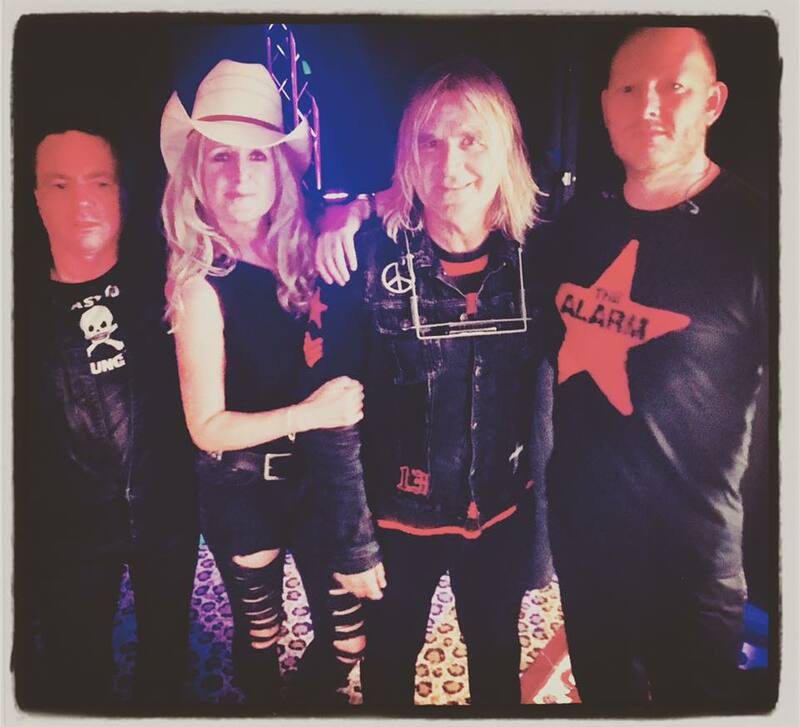 The newer songs like ‘Coming Backwards’ and ‘Love and Understanding’ fit in so well amongst the old skool classics and are taking on a life of their own, as the arrangements are refined and filtered through the experience of being played live every night. 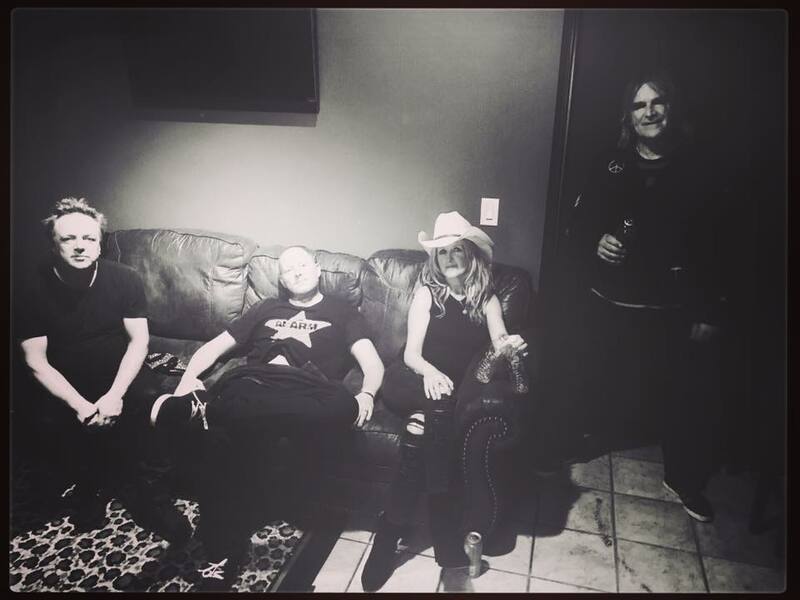 It was a relatively short ride up to San Juan Capistrano and a few hours rest at the beach at Dana Point were enjoyed before another Sold Out show at the Coach House. 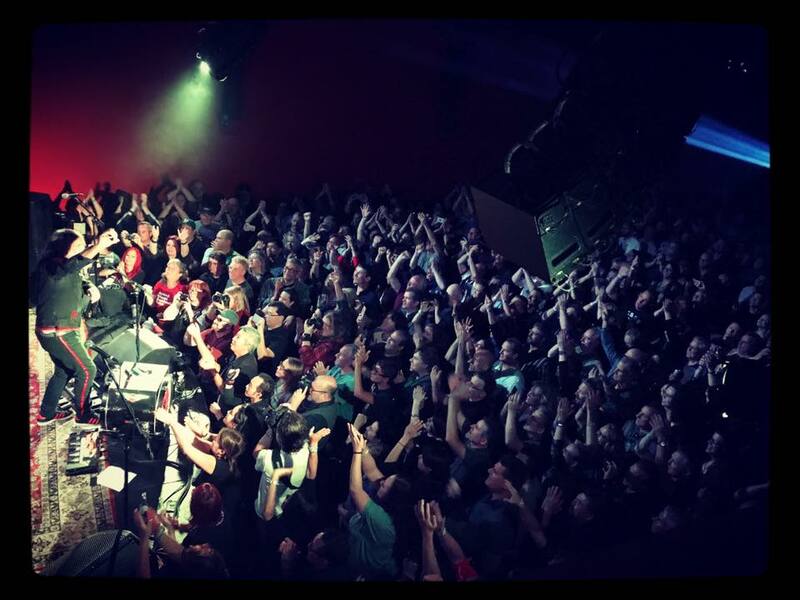 This was the venue that the original Alarm performed it’s last ever show in America back in 1991 and fitting that The Alarm of 2017 should be honoured with a sell out on it’s own terms. 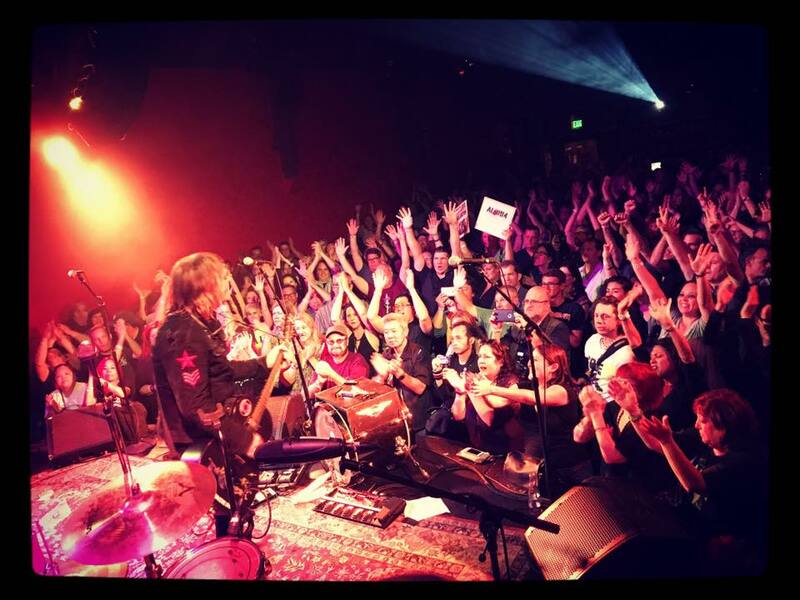 Another fine set was delivered to an excited Orange County crowd. 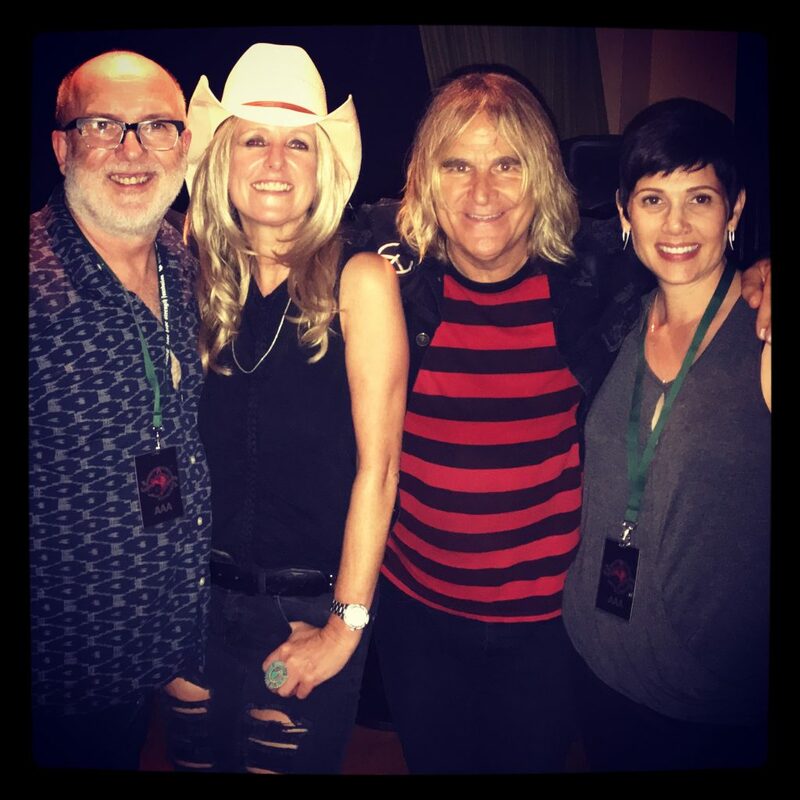 The next day was packed with interviews for Mike Peters beginning with an early morning session at independent radio station KX93.5 Laguna Beach FM with an in depth interview with DJ Kevin Flaherty that was streamed on Facebook Live to over 20,000 viewers from around the globe. Mike was then taken to the Westwood One Studios in Century City for a detailed conversation with legendary Matt Pinfiled (MTV 120 Minutes), for an extended Alarm focused show that will be broadcast on the ‘Two Hours with Matt Pinfield’ program to be syndicated across the USA. 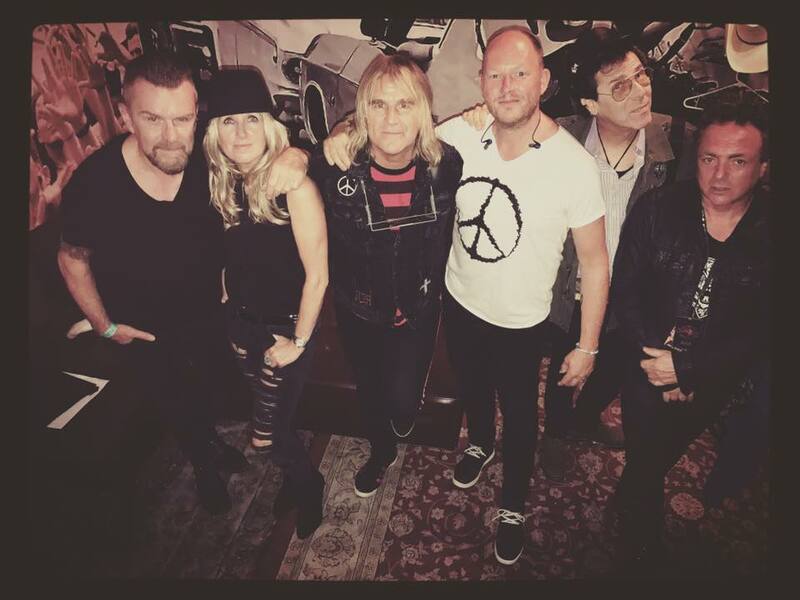 Billy Duffy of The Cult / Coloursøund and Slim Jim Phantom (Stray Cats / Jack Tars),were in attendance before the show at the Canyon Club for the screening of Man In The Camo Jacket and the band was once again all fired up and ready to go. It was a brilliant concert again with a wide screen rendition of the Jules Peters written ‘Breathe’ amongst the many highlights. 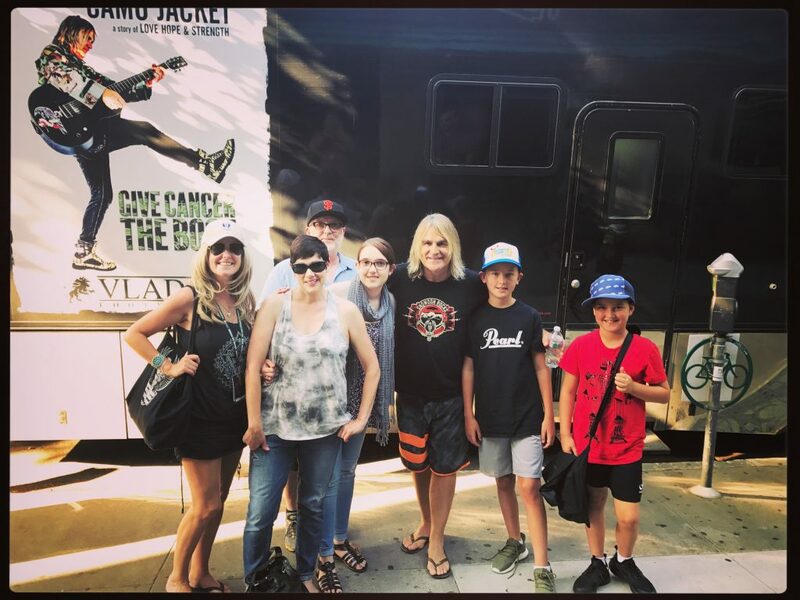 Another Sell Out greeted the touring entourage as they pulled into San Francisco for soundcheck. 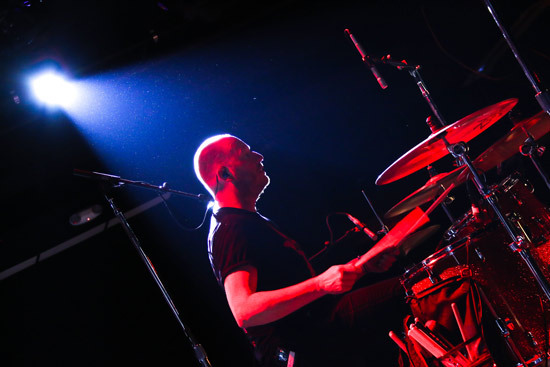 Also in attendance was original drummer Nigel Twist. 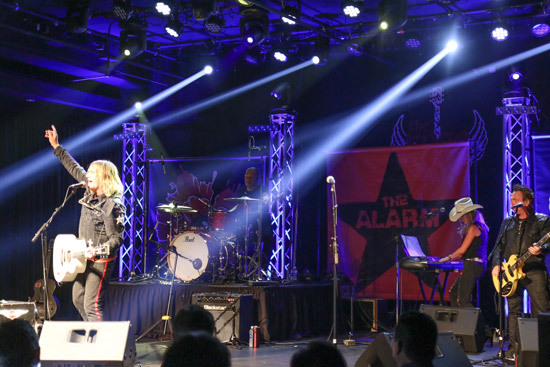 Hugs and pleasantries were exchanged all around as everyone excitedly cooked up an encore to surprise the fans of all ages of The Alarm. 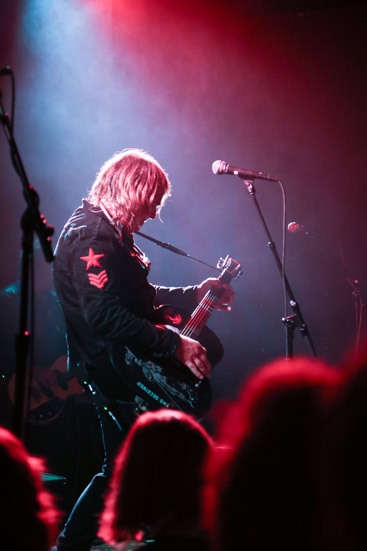 Mike Peters was whisked off to another pre-concert screening of ‘Camo Jacket’ and to host a post film Q&A with audience members. Back at the show the excitement was starting to mount as the venue filled to the rafters. It was getting hard to move around inside when fans spotted Nigel at the side of the stage making his way up to the dressing room. The band hit the stage and ripped into a classic one-two Alarm opening salvo of Declaration ./ Marching On. 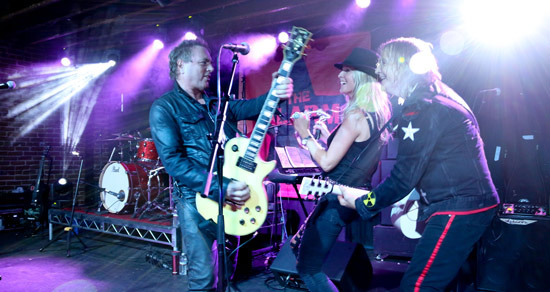 During Where Were You Hiding?, Mike handed his guitar to Smiley so he could roam the stage and recount the tale of how the playing card ritual came to be. The high ceiling of the Chapel was soon filled with cards raining down on the audience. It was blistering and ‘Coming Backwards’ kept the pressure and the heat rising higher, Mike made a fantastic and heartfelt speech about the founding members of the band and performed the Dave Sharp song that had been co-written by Nigel Twist (who was looking on from the Balcony), that perfectly segued into ‘Love and Understanding’. 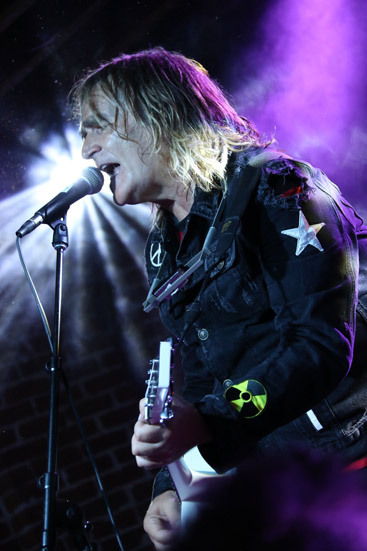 It was a monster of a show – probably the best of the tour so far, as Mike Peters gave all he had in front of an audience (some of whom had witnessed the first ever US Alarm show back at San Francisco Civic in 1983). 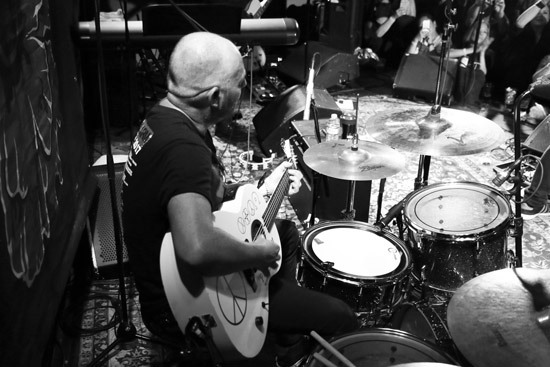 Mike made the memories come flooding back but also connected them to the future by highlighting the tremendous sense of survival and continuity that is at the heart of all the idealism embedded in songs both old and new. 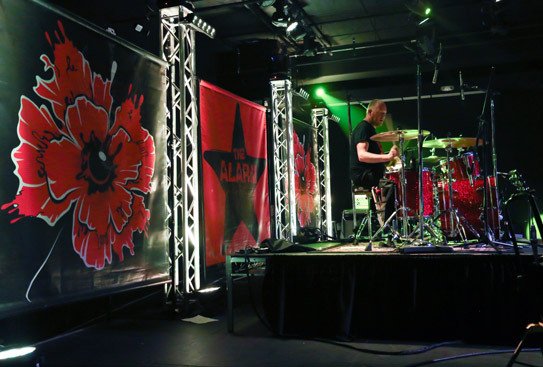 The blood of the Alarm’s red poppy runs deep in all Alarm musicians, all Alarm fans and especially in all Alarm songs from Unsafe Building to Two Rivers. 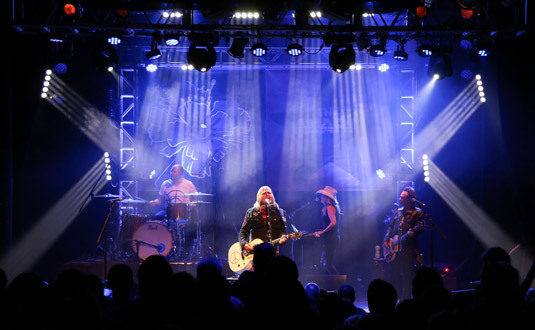 Mike Peters returned to the stage with a massive smile beaming out across the concert hall and wasted no time in eulogising his old band mate Nigel Twist and bringing him up on to the stage to the surprise and delight of all in attendance. It was a great moment as the two old friends hugged on the stage. Smiley invited Twist to take over on the drums and Mike counted of the intro to Sold Me Down The River. 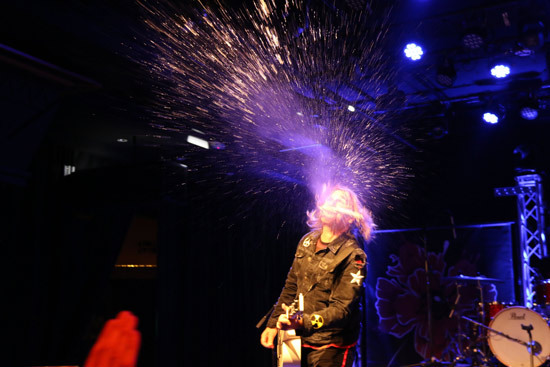 Twist pounded out the offbeat intro, James Stevenson came in with the bass guitar on the count of one and the audience surged to the beat if The Alarm’s Blues. 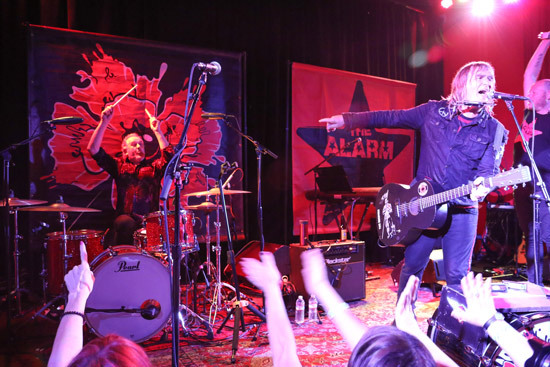 A hard and driving ‘Rocking In The Freeworld’ followed with every Alarm member – past and present giving all they could muster in the name of adding another beautiful moment to the Alarm history book. 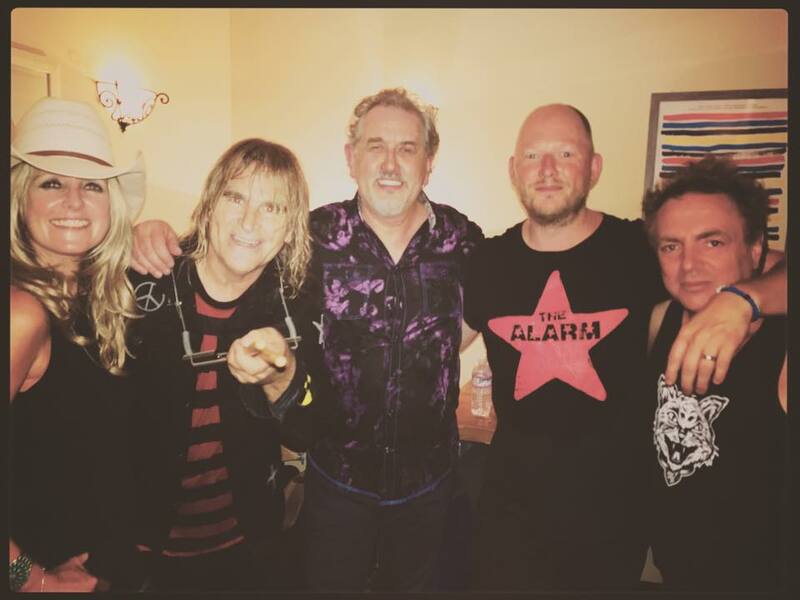 Everyone (including SF singer songwriter and cancer survivor Brad Moore – who had opened the show), gathered to celebrate at the end of the performance with Mike Peters once again thanking Nigel and reaffirming the significance of his place in Alarm history. 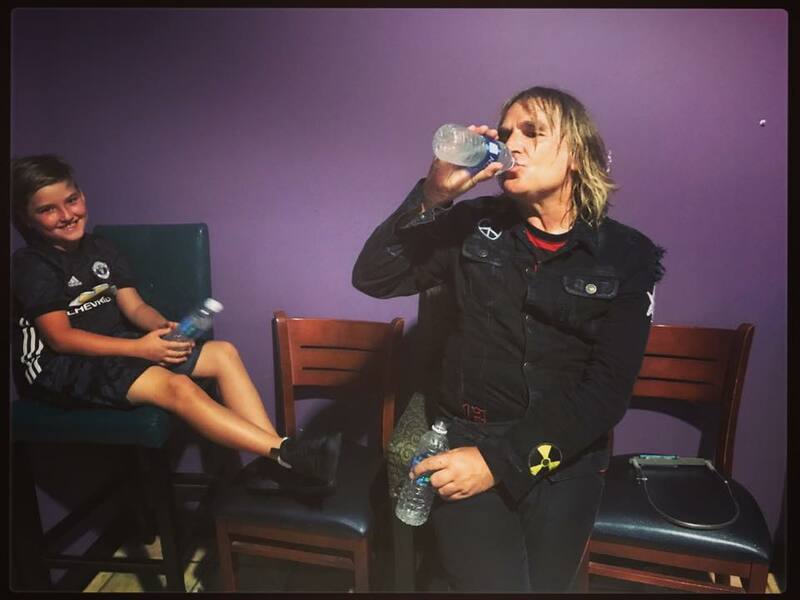 Another significant member of The Alarm was in attendance at Sacramento the next night only this time it was someone who was not usually seen or heard on the recordings. 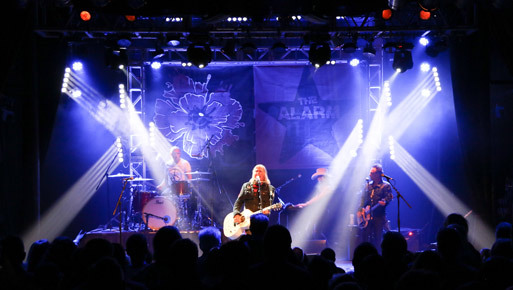 According to Mike, John Selwyn ‘Redeye’ Edwards has as much right as anyone to call himself a member of The Alarm. 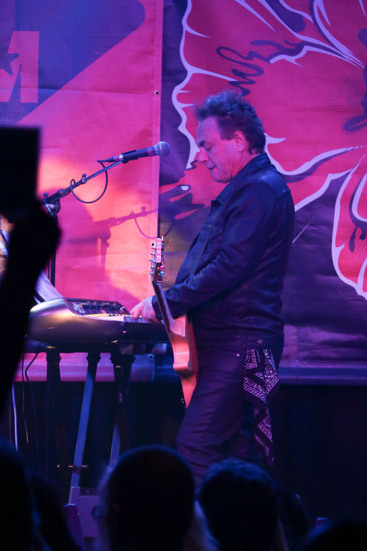 During the intro to ‘Shout To The Devil’, Mike spoke of Red’s contribution to the group’s formation and vision in helping a young Mike Peters shape the group’s outlook and was often the first person Mike Peters would play a new song to. Mike personally thanks Red for giving him the confidence to be himself and to have courage in his own convictions and instinct. 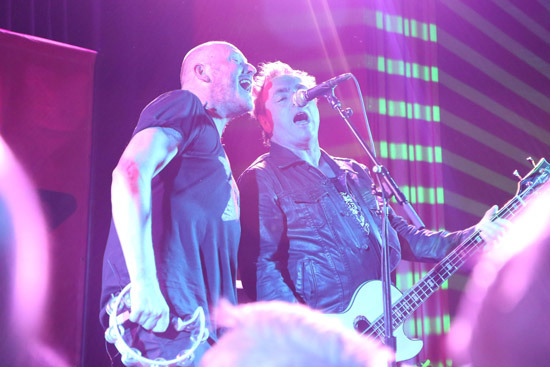 It was so obviously moving for both these old friends, one of whom was on stage and the other only seeing an Alarm show from the audience perspective for a second time. The other being at Brixton Academy in 1991. Red (as he is known to all), was with The Alarm from even before the beginning, befriending Mike in 1978 and growing with the band as mentor, stage manager and confidante through every stage of it’s development from 1981 – to 1990 when he was hired to work for Bob Dylan (whom Red still works for to this very day). Red was best man for Mike and Jules at their wedding in 1986 and their respective families, have remained tight ever since. Another supersonic gig enfolded as the band took the audience (and Red and his wife Julie), on a roller coaster of emotions from an acoustic Unsafe Building through to a conclusive Two Rivers, which closed the show on an emphatic note with Mike Peters throwing in ad-libs from classic Alarm titles that collided with the modern refrain being chanted by the new audience that now follows the Alarm to the place where the two rivers meet. The tour continues into the American Mid West.